Vianne's sister, Isabelle, is a rebellious eighteen-year-old girl, searching for purpose with all the reckless passion of youth. 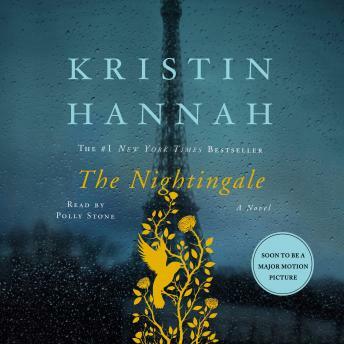 While thousands of Parisians march into the unknown terrors of war, she meets Gäetan, a partisan who believes the French can fight the Nazis from within France, and she falls in love as only the young can...completely. But when he betrays her, Isabelle joins the Resistance and never looks back, risking her life time and again to save others. I was blown away by this story and also the narration. It made me plunge myself deeper into the history of WOII, and since then i read many many smaller yet so valuable stories of people having lived, loved, fought and suffered during this war. Recently I listened again to this book, I just loved it that much. Powerful book - revisited a subject l would normally shy away from - but you are taken on such a wonderful and emotional journey l highly recommend this book ! I was hooked from the start, and the intrigue just kept building! Excellent book. The story was incredibly moving and the narration delivered it beautifully. This book is amazing, breathtaking and heart wrenching. I absolutely loved and will read it again in the future. Wow! This book made me so many different things. My heart filled with compassion, heartache, sparrow, love, and hope all at the same time. I bawled during the last chapter. I kept putting off the last couple chapters because I knew the story was coming to an end. Def will recommend to other book lovers. I listened to this book YEARS ago, and it is one of the top five books that I have ever listened to. I did not know how to write reviews way back then, but this story has stayed in my heart and mind all this time. Strong women in Europe during World War II. Amazing! Will be thinking about this one for a long time. An enjoyable listen. Writing is good but not great. A number of cliché characters. Narrator does a good job. Moving story-telling. Thick with heartbreak, strong characters, great narration. Amidst endless stories of WWII, this stands out. Prepare for an emotional rollercoaster.